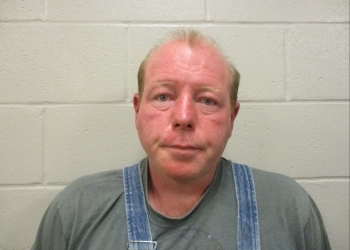 A Bartlesville man was arrested after a family domestic incident. Christopher King appeared at the Washington County Courthouse on Monday facing charges of domestic abuse and obstructing an officer for a weekend incident. According to an affidavit, dispatch advised that a woman called to report that her son and husband were in a physical altercation. Police found the victim with a cut on his head, an injury to his arm and several blood spots on his clothing. King told the officer that he was not welcome in his home and needed to leave. King had a cut on his face as well. King claims that he fell down outside and was unsure as to what happened to cause the victim’s injury. King appeared to be under the influence of alcohol. The defendant continued to insist that the officer leave the residence. King refused to give the officers any of his personal information while being transported and continued to be uncooperative upon arrival at the jail.